It is important that cables and hoses on industrial equipment, boiler rooms and automotive engines be shielded from high temperatures, abrasions, and other elements in order for components to continue to function properly and last longer. Shielding those cables and hoses with Insultherm Fiberglass Braided Sleeving will give you piece of mind that your equipment is insured with the highest quality flame retardant braided sleeving. 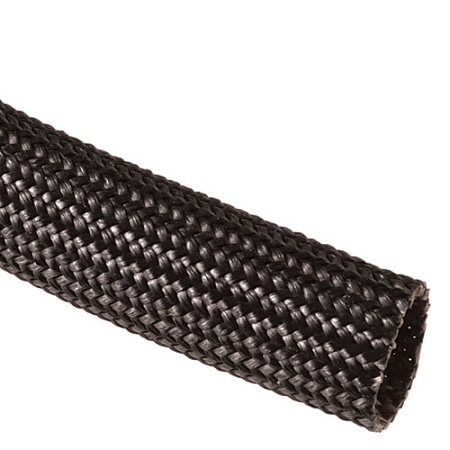 Manufactured from resin coated fiberglass, this heat resistant sleeving is superb against extremely boiling temperatures reaching up to 1,200 F (640 C) preventing high grade cable protector to burn, melt or become frail. 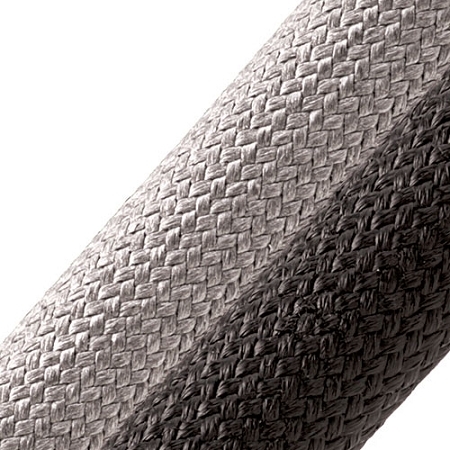 Tightly woven fibers make this fiberglass sleeving viciously strong granting added armor against abrasion and other elements. Few dusting occurs when cutting providing a cleaner installation and less irritation on the skin. This fiberglass braided sleeving is RoHS Compliant, Asbestos Free and Halogen Free. Insultherm Fiberglass Braided Sleeving comes in silver or black colors that will enhance the look of your high performance car, show car, motorcycle, or antique car. Lead times apply if not in stock. Much cleaner look than exhaust wrap. Same temperature specs. Long term endurance not confirmed. Wall thickness comparable to wrap. 1" for smaller exhausts, 1.5 for larger, I personally would not recommend for larger automotive diameter exhausts, only because it probably would not fit. InsulTherm 1.5" is tough and easy to cut. I'm happy with the quality and expect my project to last and last. We have a production glassblowing studio and use this sleeving to protect our high pressure gas lines on our hand torches. 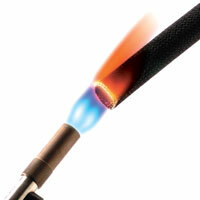 It works great and can take direct flame and temps that would melt any gas line. It is also very abrasion resistant ant keeps our lines protected from wear and tear. This is an excellent product when you need high heat resistance. It's able to stand close proximity to manifolds and headers, great for protecting wires.